Another commercial rezoning request — this time just off St. Charles Avenue — led to another round of heated allegations of ulterior AirBnB-related motives on Thursday, as Councilwoman LaToya Cantrell said the issue reaffirms the need for her proposed reform of short-term rental laws just days after the City Planning Commission rejected them. The site is comprised of three lots at 1812, 1818 and 1824 Carondelet Street (at the corner of St. Mary Street). Two of the lots have have three-story, three-family homes, and the third lot is vacant, though it used to be a mechanic shop. The proposal had previously split the City Planning Commission, which had debated whether to allow spot zoning on a property with somewhat ambiguous plans. When the request reached the City Council on Thursday, Councilwoman LaToya Cantrell said the owners have told her they want to create a mixed-use development on the site with a coffee shop, which would be in keeping with development in the area, so she planned to vote in favor of the project. One aspect of their plans, however — short-term rentals — was not as favorable to her. Cantrell was making reference to a revision to the short-term rental laws she has proposed late last year. Currently, in most commercial zoning classifications, short-term rentals are automatically allowed. Cantrell’s proposal was to require specific City Council permission for short-term rentals in common neighborhood business zoning classifications, through the conditional-use process. Her proposal was intended as a response to the rising number of commercial rezoning requests that have a short-term rental component involved, but the City Planning Commission voted against it on Tuesday. The proposal, they argued, could have the unintended consequence of increasing the frequency of developers seeking short-term rentals in residential areas instead of commercial zones. Tuesday’s vote by the City Planning Commission, however, was unrelated to Thursday’s request, which sparked its own heated debate. 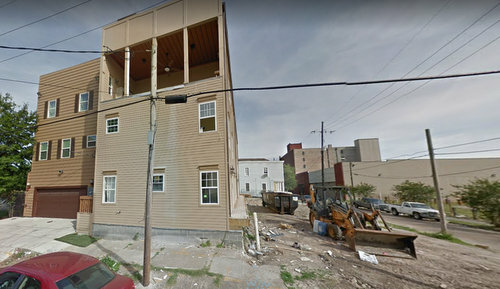 Pat Swilling, a former Saints linebacker and state representative who bought the properties in 2014 when they still had commercial zoning, and he didn’t realize the new Commercial Zoning Ordinance changed it to residential the following year. He acknowledged that he already used part of the residential property for short-term rentals, but said he wanted commercial zoning to do more with the site. Councilwoman Stacy Head asked for clarification. “I can’t tell you I’m not going to, but I’m going to do something else as well, like a mixed use,” Swilling said. Head turned her question to Cantrell, asking whether it would be a coffee shop or not. The zoning requested would allow for that, Cantrell said. Swilling added that coffee shop, ice cream shop and others were all under consideration. “Now it’s not a coffee shop,” Head retorted, saying that Swilling had failed to give the Council his vision for the property. “That’s very disrespectful,” Cantrell said quietly as Head concluded her questioning. Irish Channel resident Jenna Burke spoke in opposition to the request, saying that the work that went into the master plan should be respected instead of undone piece by piece. Every developer presents their circumstances as “special,” Burke said, but taken all together they seem like a pattern of reducing long-term housing in favor of projects with a more immediate monetary gain. Head pointed to the well-organized opposition that arose to a similar recent rezoning request proposed in the Lower Garden District, and said it points to the disparity in advocacy between wealthy and poor neighborhoods. The Garden District has a paid director who can “watchdog” these issues, so they get halted, whereas Central City residents can’t afford someone to research and speak against similar problems in their neighborhood. Head’s comments drew criticism from other council members. “I’m quite disturbed when I always hear the implication that people are lying or have ulterior motives,” said Councilwoman Nadine Ramsey. Councilman James Gray said that the property was clearly still zoned commercially when Swilling bought it, and changed without his involvement afterward. Legally, Gray said, he worries that an involuntary downzoning from commercial to residential would function as a taking that might not hold up in court. Gray also said he interpreted the role of the council differently from Head. Their job, Gray said, is not to evaluate a zoning request based on what the owner intends to do with it, but based simply on whether the zoning is appropriate for the property in question. The owner should then be allowed to do whatever he wants with the property — within that correct zoning — without the involvement in the Council. Ultimately, the City Council voted 5-2 in favor of Cantrell’s motion, with Head and Guidry opposed. For more from Thursday’s City Council meeting, see live coverage at Mid-City Messenger and an article there about a controversial rezoning of a church on Bienville. To watch video of the conversation, see below. Commercial zoning is not always more valuable than residential. Changing the value of his property should not be an issue.